Global population is set to reach 9.8 billion by 2050. Meanwhile, food resources are depleting. If the current trend continues, within 25 years the UK could have to import over half of our food. Hydroponics, a method of growing plants without soil, could help bridge the gap between supply and demand. Indeed, the hydroponics market is forecast to grow 16% a year. 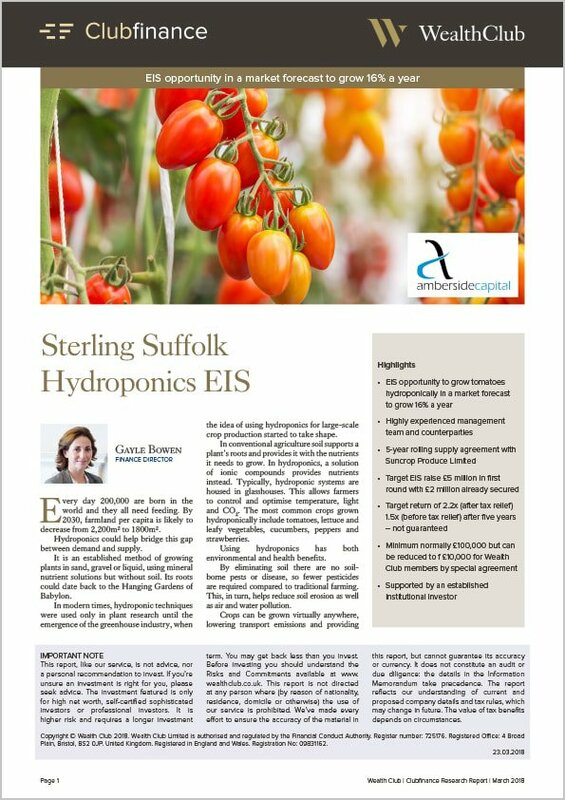 The Sterling Suffolk Hydroponics EIS aims to exploit this opportunity. It is raising £5 million to help fund the construction and operations of an 8-hectare glasshouse that will produce tomatoes hydroponically. The construction is underway and the project is currently ahead of schedule. The images below show the progress as at 22 May 2018. Sterling Suffolk Limited (“SSL” or the “Company”) has been set up by a highly experienced management team to exploit the potential of hydroponics and capitalise on the growing demand for British produce and alternative farming. SSL is constructing an eight-hectare glasshouse (an area equivalent to 12 international football pitches) to grow premium tomatoes on its leasehold site near Ipswich, Suffolk. The project is expected to require over £22 million of funding overall. An established and well respected institutional investor is providing a debt facility of £15 million and the remaining £7 million is expected to be raised through successive rounds of EIS funding. In this initial round, SSL aims to raise £5 million under EIS. £2 million has already been raised. The round will close when the target is reached. Shares are being allotted periodically, with the next allotment date being 1 August 2018. The construction of the glasshouse is underway: the steel frame is up and the contractors are starting to install glazing bars around the perimeter walls. Overall the project is ahead of schedule and should be completed four weeks ahead of the original completion date, without the payment dates being moved forward. Hydroponics could help bridge this gap between demand and supply. It is an established method of growing plants in sand, gravel or liquid, using mineral nutrient solutions but without soil. Using hydroponics has both environmental and health benefits. This is projected to be a highly cash generative and profitable operation with profits of over £1.7 million on turnover of £8.5 million by year 5. It targets returns of 2.2x after tax relief and 1.5x before tax relief for EIS investors. Please note returns are not guaranteed. The site has been prepared and the glasshouse is under construction with the first phase expected to complete at the end of the year. Once the first phase is completed there will be 5.6 hectares of operational glasshouse to start producing crops and generating revenue, whilst construction is completed on the remaining 2.7 hectares. The final phase, with the remaining 2.7 hectares, is expected to complete in December 2019. It’s worth noting SSL also has planning consent to construct a further 8-hectare glasshouse in the neighbouring field. This could provide an opportunity to scale up and achieve further operational efficiencies. This would be subject to a separate investment round and has not been included in the projections or target returns. As with all EIS companies, there is the option of a sale to trade or another investor, refinancing or a stock market listing. In our opinion this is a quality opportunity to invest in a project in a growing UK market, although you should form your own view. It offers experienced investors the potential of good returns and EIS tax relief while providing a benefit to the UK agriculture and the environment as a whole. Hydroponics is an established method of food production and is growing fast in Europe. 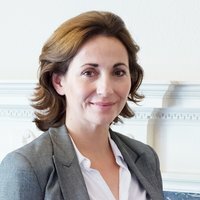 The management team and counterparties are highly experienced and incentivised and are investing significant capital themselves. The project requires sizeable capital outlay, but the 5-year supply agreement with Suncrop provides some visibility of earnings. Should the team be successful in extending the glasshouse facilities and scale up the operation, it could achieve a higher exit value – not guaranteed and not included in the return forecasts.